More Americans Opt For Risky Long-Term Car Loans The length of the average car loan isn't just creeping up, it's leaping up. Nearly 40 percent of people secure car loans that take more than five years to pay off. The trend has some analysts alarmed. Nearly a third of new auto loans now last 74 months or longer, which alarms some analysts. There comes a day in every car owner's life when she knows, it's time. For Carolyn Ballard of Atlanta, that was on a hot day last July, while driving her SUV with misfiring cylinders. "I drove to the dealership with the car literally chugging along," she says. "I mean, in traffic on the interstate. I was just sweating, thinking I've just got to get to the dealership so I can get rid of this, before I put any more money into it." Ballard wanted a late-model Honda Accord that she'd seen on the dealership's website. By the time she got there, it was gone. But there were plenty of new Accords. "I don't know what the average marriage lasts in the U.S. today. Might be less than the average car loan." "I said, 'If you can get my payments under $250 a month I will consider taking this car,' " she says. No problem. Ballard got a loan from Wells Fargo at a rate of 2.5 percent. But for 74 months. That's six years. Six-year car loans used to be in the minority. They're now the norm, and loans of seven or eight years are even becoming popular. New-car sales in the U.S. are booming, and longer car loans are playing a role. Nearly a third of new loans are now 74 months or longer. But some worry the trend will hurt the auto industry in the future. Others worry it's hurting consumers right now. Ed Kim, an analyst with AutoPacific, says one thing driving the trend is the cars themselves. "Consumers are demanding a lot more technology in their vehicles, infotainment technologies," he says. "There's also a lot more safety features that are in vehicles right now. Emissions and efficiency technology that are in vehicles right now, that are making vehicles cost a lot more." But Kim says the main reason is many consumers haven't recovered from the recession. So that new car payment has to be stretched out over more years. Melinda Zabritski isn't too worried for consumers. 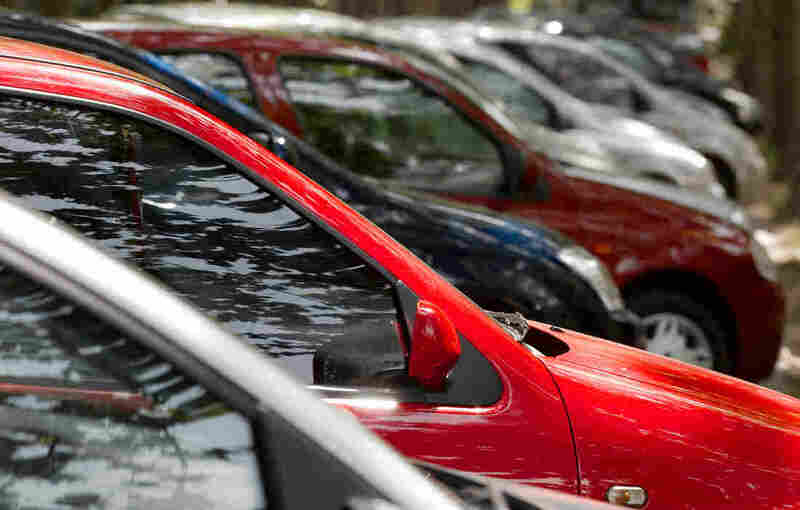 She's with Experian Automotive, a subsidiary of the credit rating agency Experian, and says longer car loans often make sense, especially for people on a tight budget. "Well, if we all had the luxury to take a 36- or 48-month term, but the bottom line is you know the average consumer just can't afford that," she says. That reasoning drives consumer advocate Mike Sante nuts. He's with Interest.com and says people on a budget are precisely the ones who shouldn't be taking out long loans. "They're a way to get people into cars that are more expensive than they should really be buying," he says. "It's these kinds of decisions that you make, that will truly determine how much money you have later in life." Sante argues that people should pay off their cars within four years, which can mean buying a less expensive or used car. While it's relatively easy to get a long loan at certain automakers, Honda is trying to buck that trend. After all, the equity that owners still have in their vehicles come trade-in time is a big selling point for Honda. Long loans destroy that equity. Honda Executive Vice President John Mendel says loans beyond five years are just too long to pay off a car. "I don't know what the average marriage lasts in the U.S. today," he says. "[It] might be less than the average car loan." Mendel hopes his competitors start using more discipline. But that may be wishful thinking. When interest rates go up, a new car will become even more expensive, which is likely to push more consumers into longer loans.